I don’t know if I’m a big animal person, like others, but lately I can’t help being amazed by the beauty of some animals and their characteristics that tell a tale. 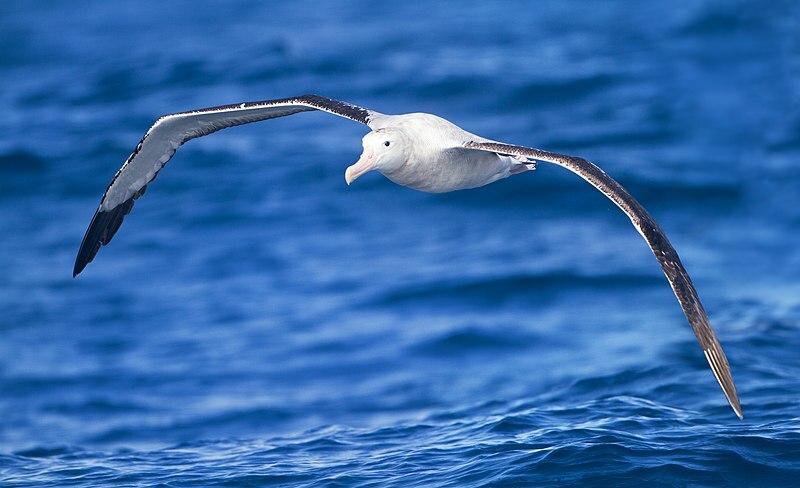 The Wandering Albatross has the largest wingspan of any bird in the world and is known for its superior gliding. Aerospace engineers study these birds and even model planes after them. These birds thrive with wind and waves. The TV show Planet Earth beautifully documents these animals with stunning filmography and personalizes them. Like the albatross who waits at a cliff for up to 5 weeks, Should I jump? Should I not jump? Should I jump? Should I not jump? before finally getting a huge gust of wind and a huge gust of courage, and then letting go. The albatross, once he takes off, soars beautifully and his feet won’t touch land for up to five years. Ocean he may touch, but land-be-gone. The albatross touched me. I’m a poor decision maker sometimes. I can mull over things for too long. But what I love about the albatross is once he’s off, he seems to soar. Photocredit: John Harrison and more facts about this bird here. More bird photos here. Do they not see the birds above them with wings outspread and [sometimes] folded in? None holds them [aloft] except the Most Merciful. Indeed He is, of all things, Seeing. (Quran 67:19).